Snarf's Sandwiches opened at Denver International Airport in June 2018. The airport is currently planning a massive overhaul of its Great Hall shops and restaurants. Denver Business Journal — Sandwich lovers now have another option at Denver International Airport. 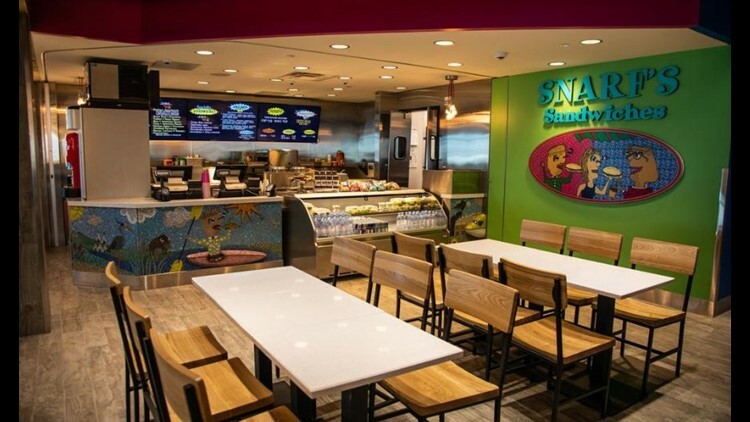 Snarf's Sandwiches opened in Terminal A on June 21, and will be leading the way for other new food and drink options in the terminal. Breckenridge Brewery and Brother's BBQ are planned for adjacent locations in the fall, according to a press release. The now Denver-based chain started in 1996 with its first location in Boulder. Located near Gate A73, the restaurant has temporary hours of 11 a.m. to 3 p.m. as the area of the concourse continues to be developed, the release said.